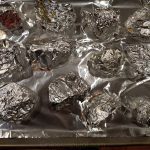 This recipe for how to bake beets uses no oil and a simple method in the oven with aluminum foil, then peeling the skin off once cooked. 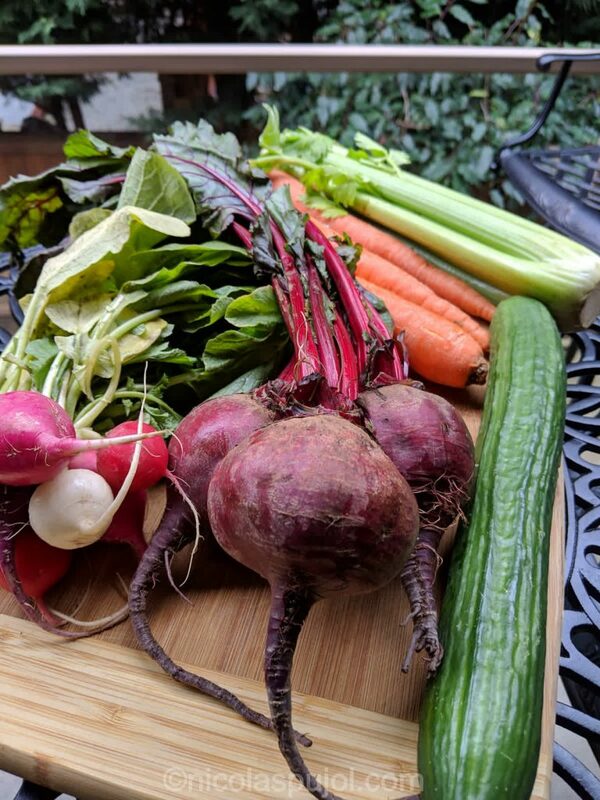 I bought a lot of beets last week: one bunch on Monday, roots and greens, at the local Whole Foods store. Then later on, I bought two more bunches while I still had to do something with the first one. So we decided to bake them in batch, just keeping a few of the freshest ones in the fridge for later. 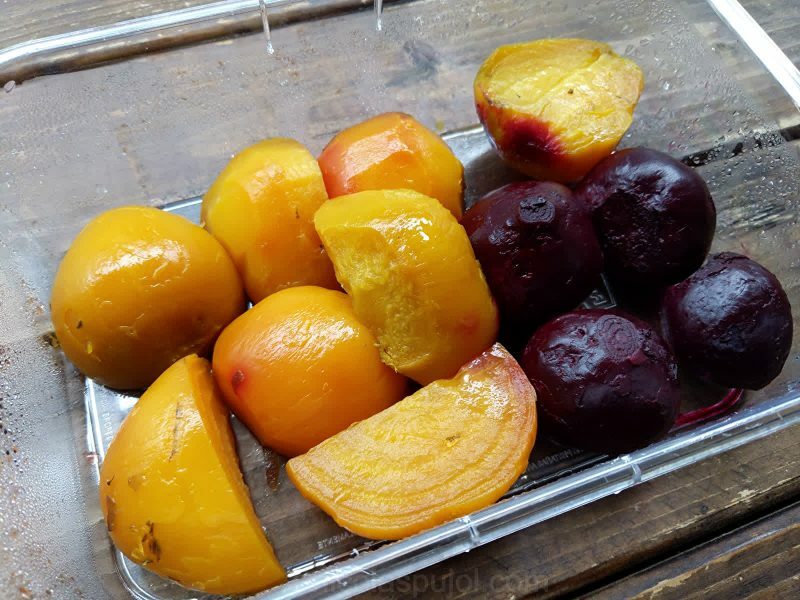 Baking beets allows you to prepare a significant amount of them at once. You could do the same by boiling them, except that you’d want to peel them first. When baking them in aluminum, we simply take the roots, then make sure they are all about the same size. This means that we sliced the larger ones in two, which allowed them to all bake in the same amount of time. 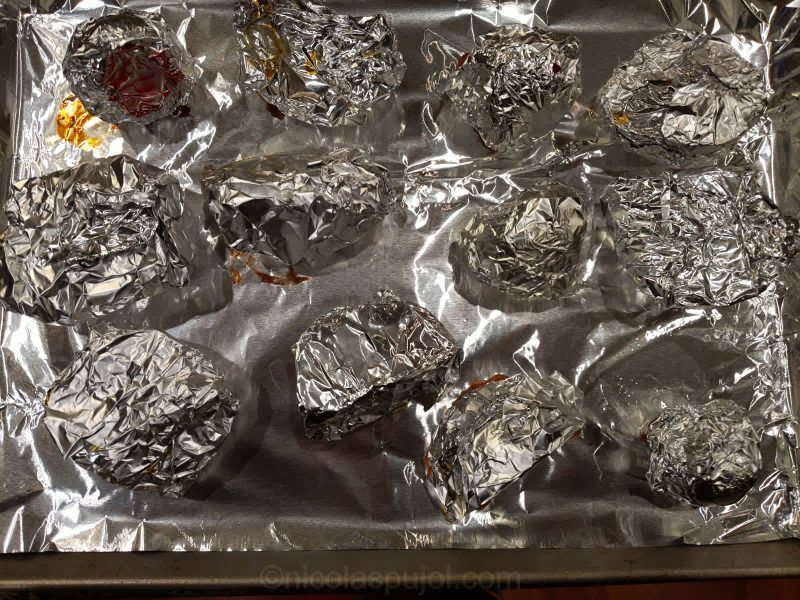 Using aluminum foil helps keep the beets soft and moist, and to bake more evenly. 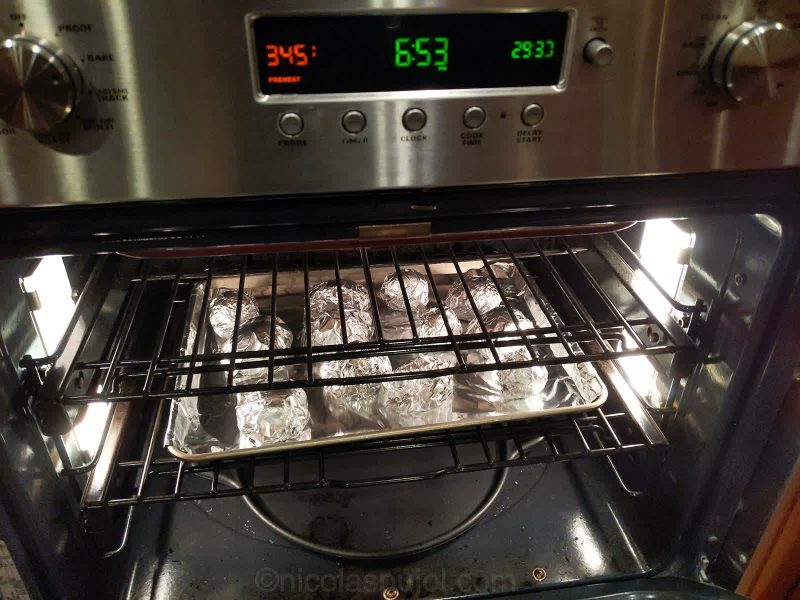 I am not a fan of using this much foil every time, so I prefer to just boil them. 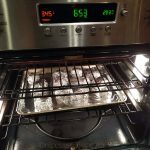 In the future I may update this post with a baking method which is foil-free. 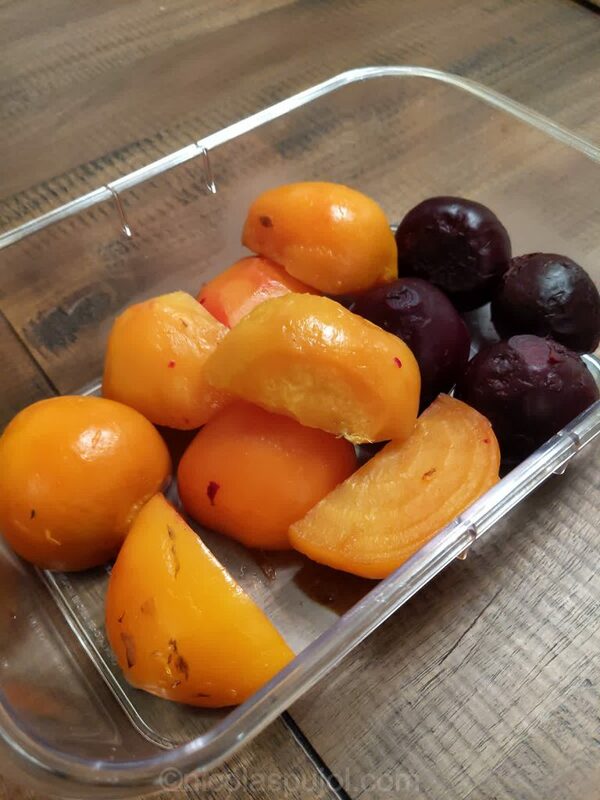 At least, if not foil-free, these baked beets only went through water rinse, so they are oil-free. Who knew that it would rhyme? Isolate the beet roots and save the greens for other recipes. Rinse roots thoroughly. 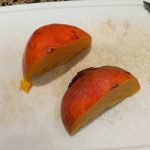 If some beets are much larger than others, slice them in two so you have a relatively uniform batch. Wrap beet roots in aluminum foil and place in the oven for 30 minutes. 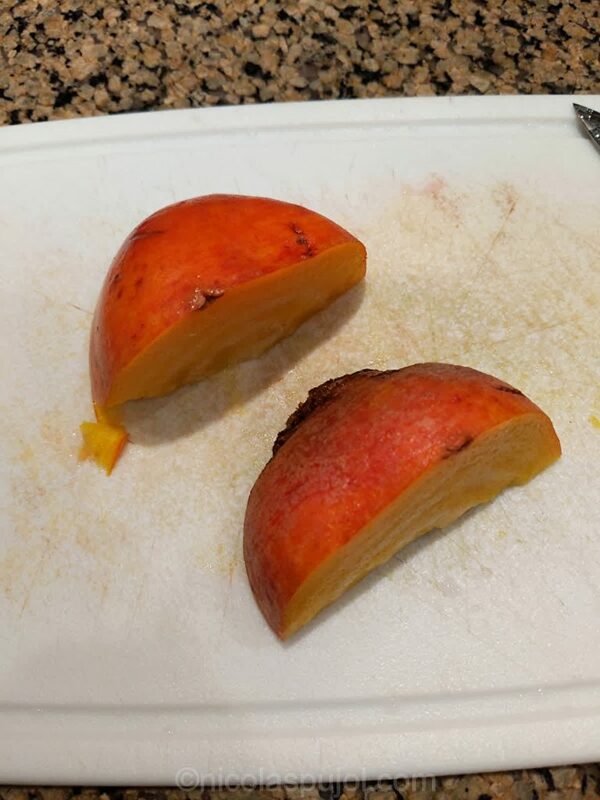 Turn each beet to the other side so they finish baking evenly, for another 30 minutes. 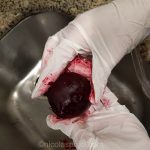 With a glove if you want to avoid temporarily staining your hands, or with bare hands if you don’t mind, remove the skins from the beets by peeling it off. Rinse them one last time. 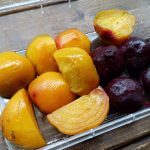 Consume immediately, or you can store them in a sealed container in the fridge for a few days.